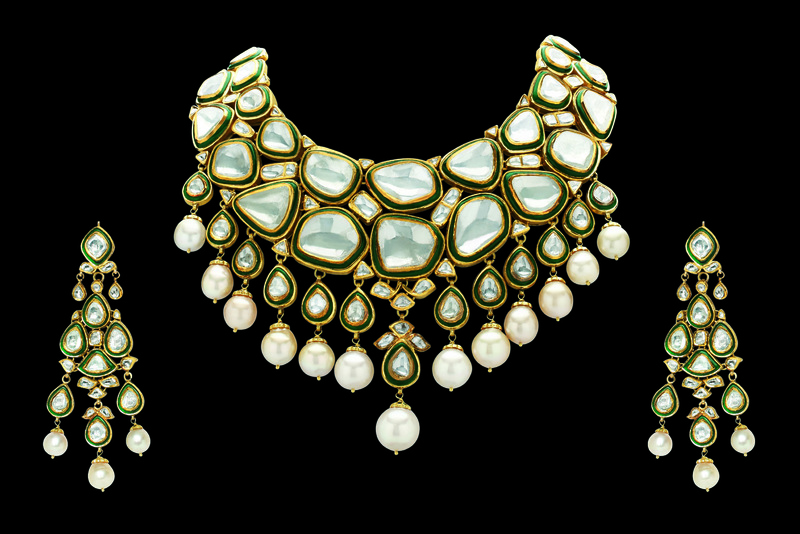 Minawala presents their new line of Wedding Jewelry! 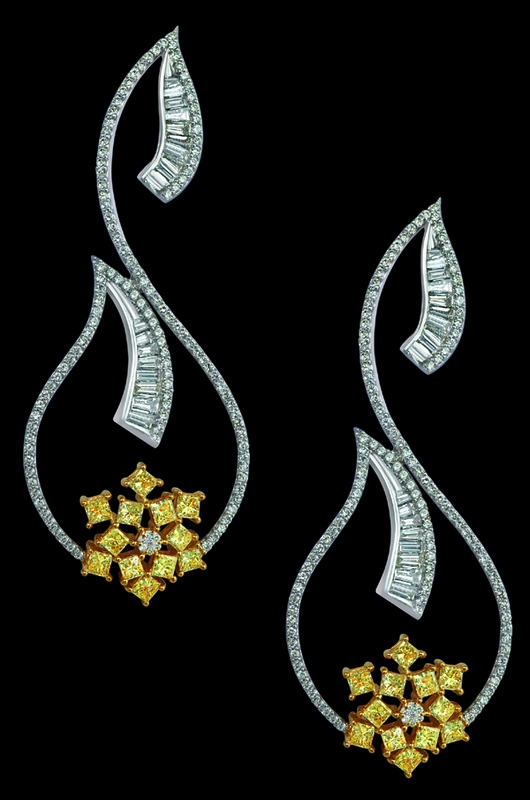 Mumbai, October, 2012: India’s Premier Jewelry House ‘Minawala’ presents wedding jewelry that celebrates the moment of togetherness with finely crafted designs. The collection comprises of opulent neck pieces across Polki (uncut) diamonds which are of Kundan / Jadau jewelry styles. 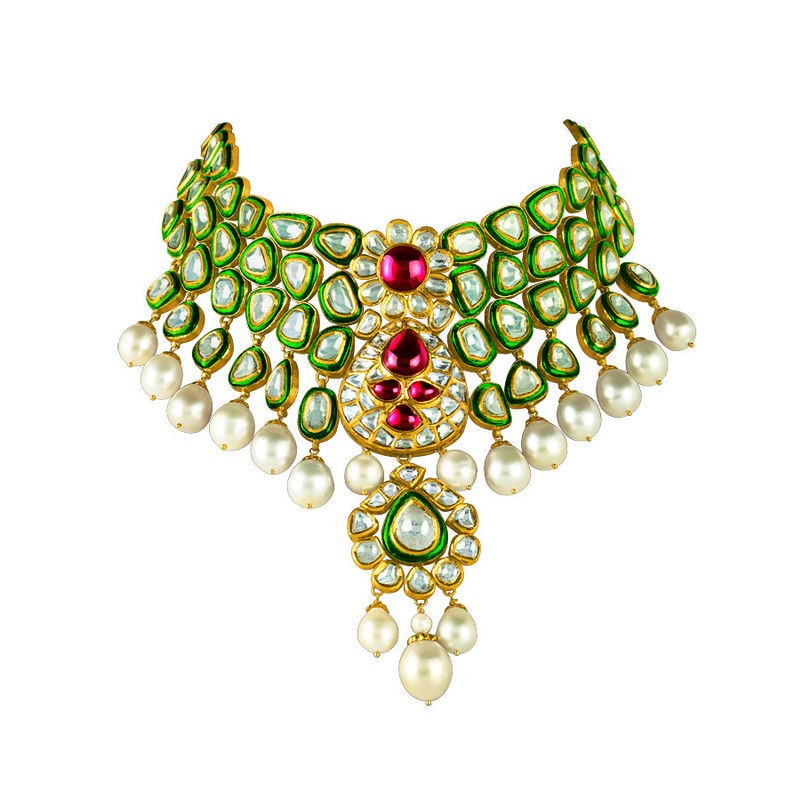 These include substantial chokers, cocktail rings, chandelier earrings, marvelous cuffs… all of these made using white & canary diamonds, rubies, emeralds, pearls – the wedding essentials this season! 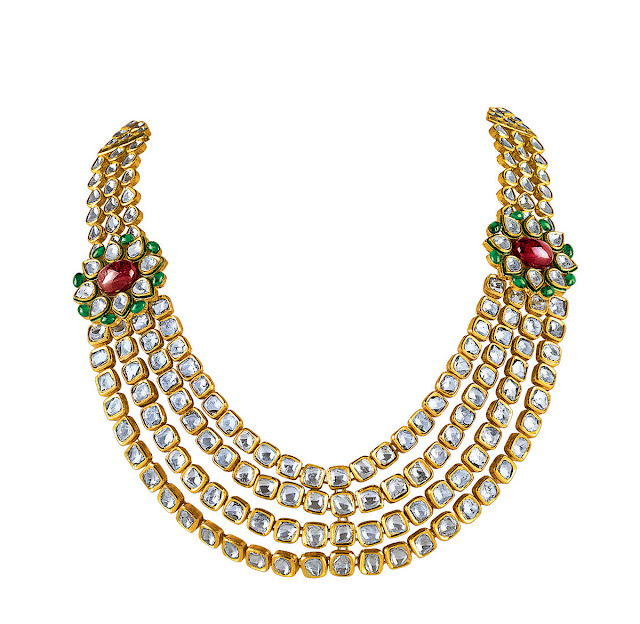 Be it a fabulous choker for the day or a stunning intricate diamond design for the evening, the range works around innovative designs that represent every bride’s unique story of marital bliss. The collection is a perfect amalgamation of glitter & glamour, for a bride looking for that statement piece that reflects her own personality and yet remains fashionable! 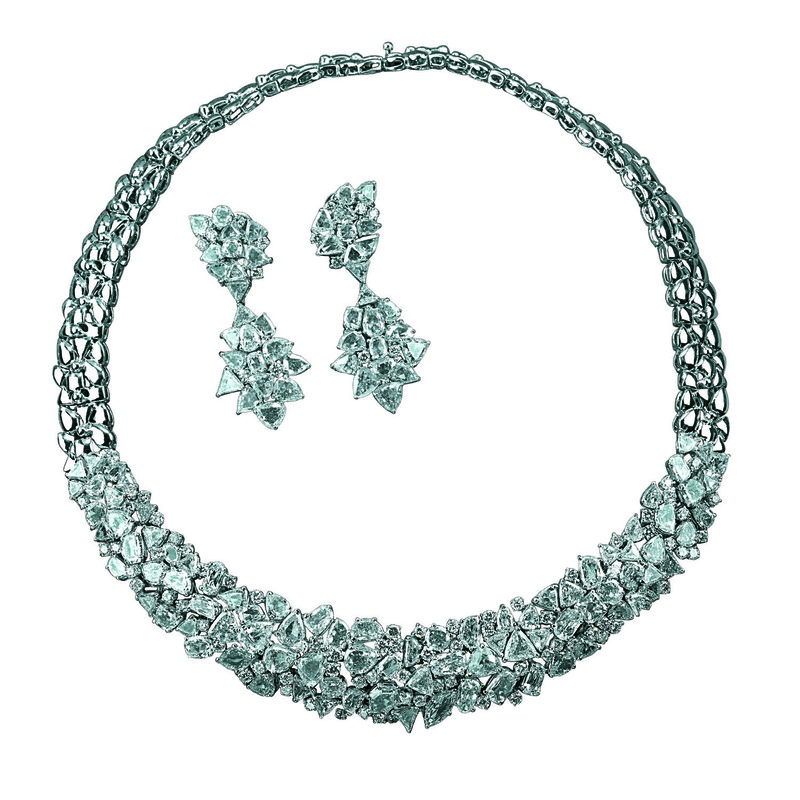 ‘Minawala’ holds the exclusive copyrights of this range, further preventing any copy or adaptations. This is done to maintain exclusivity and each piece is coded with separate serial numbers. Exclusively available at the Minawala stores in Santacruz (West) & Bandra (West), Mumbai. Price is on request. 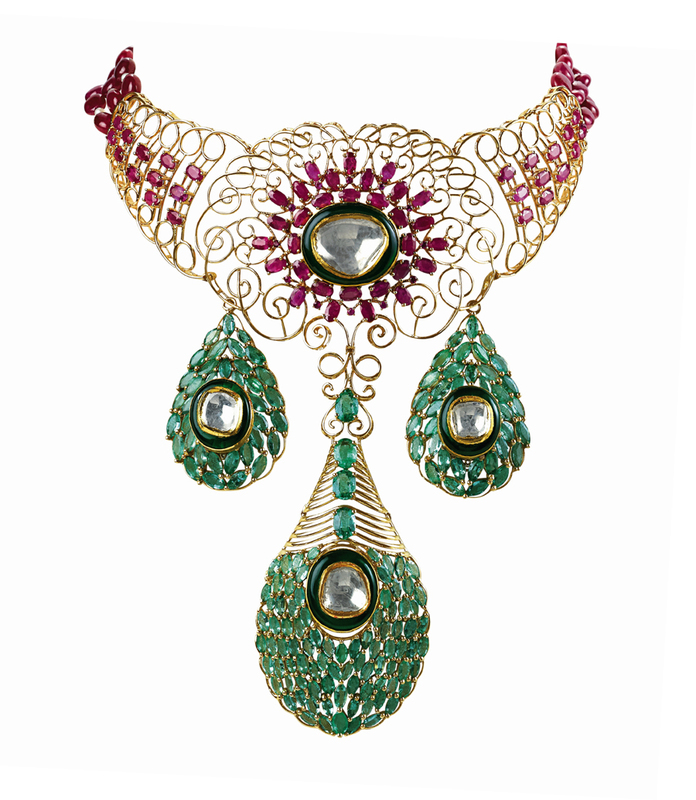 Established and founded by the Zaveri family, the house of Minawala came into being in the year 1985. 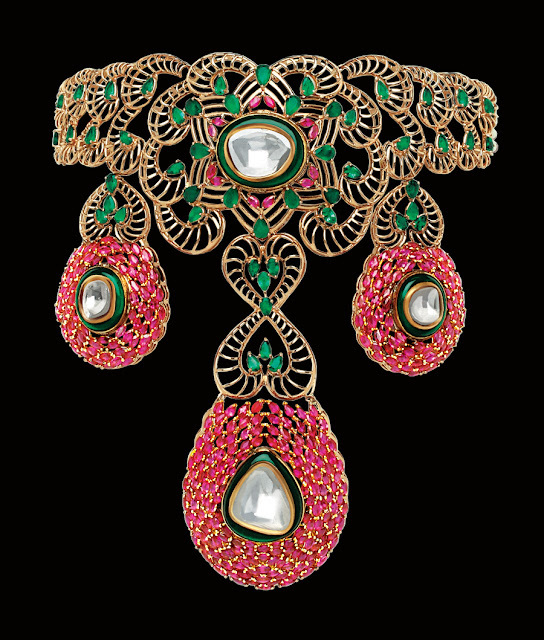 Originally a family-run jewelry making business, Minawala soon evolved into a successful brand maintaining a fine balance between traditional and new age design concepts. 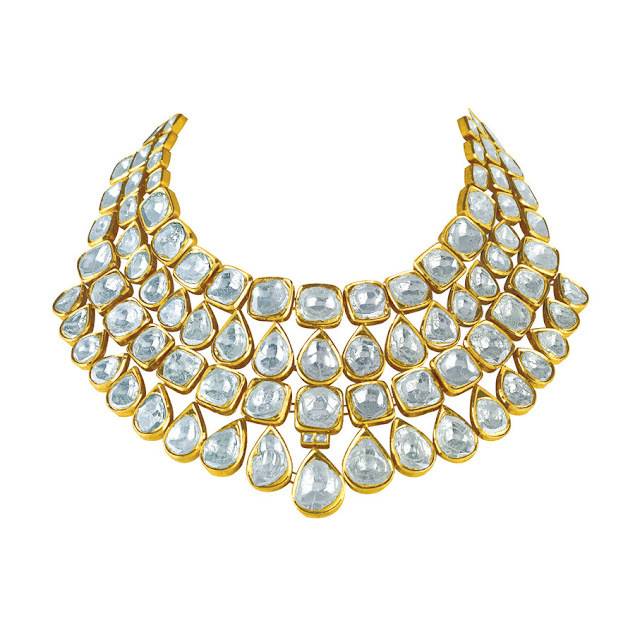 With a keen eye for aesthetics and a great sensitivity for detail, Minawala became synonymous with beautiful craftsmanship and sophistication in the world of jewelry in no time. With three generations of jewelry making behind the brand, Minawala today represents decades of experience and expertise. Placing heritage as a core part of its ideology, the brand is acclaimed for the perfection and the craftsmanship that goes into the construction of each individual piece. Mr. Shehzad Zaveri was amongst the first to popularize the use of colored stones in jewelry. 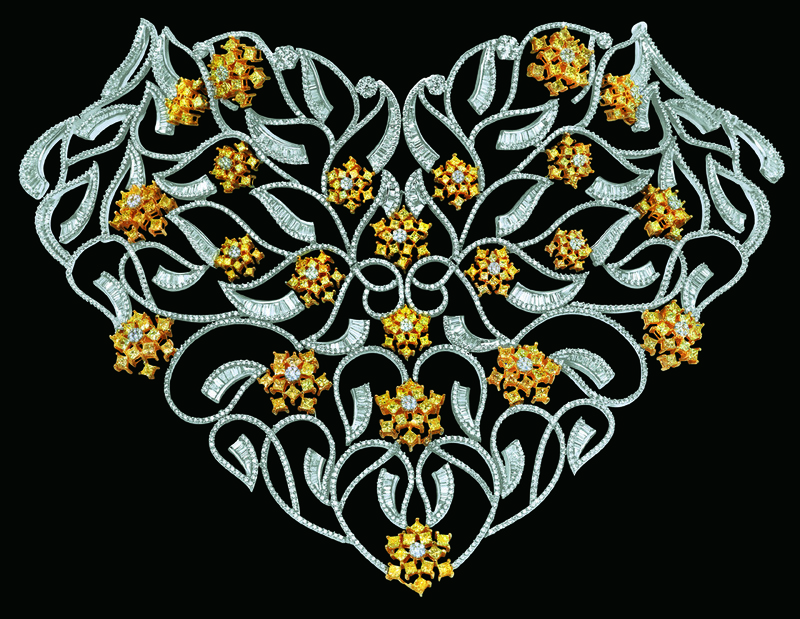 He is responsible for spear heading the brands evolution into establishing itself as high-quality jewelry makers. 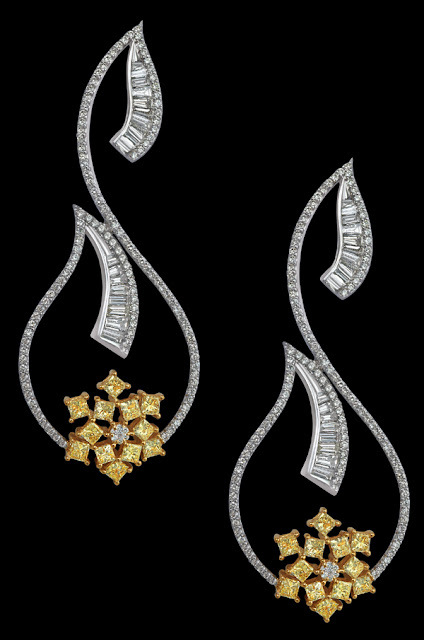 At Minawala, Mr. Shehzad Zaveri’ incorporated diamonds, precious and semi-precious stones set in yellow and white gold. Years of creating stunning pieces and innovative designs, Minawala has laid strong benchmarks for many existing jewelers and continues to inspire new entrants in this field. A true amalgamation of heritage and modernity, Minawala continues to surprise its customers with spectacular gems dazzling settings. The design team has successfully created striking collections over the years that continue to attract customers, old and new. 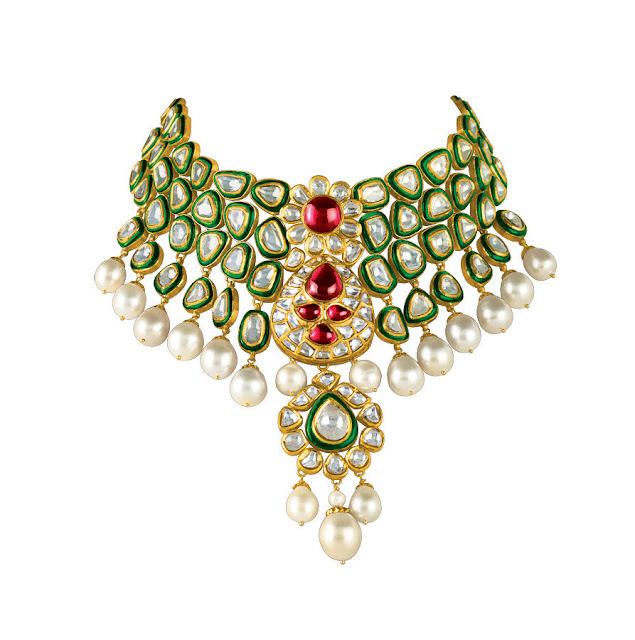 A huge emphasis is laid on the quality of the stones, the manufacturing procedures of MINAWALA jewelry along with the brilliant cuts & designs which contribute to the growth of the company and the popularity and credibility it enjoys amongst its peers. i love all the pix!! Truly great post. You have such a great sense regarding Indian dresses.